Slightly south of Capo Mannu, in the northernmost point of the Sinis peninsula marine area, in a setting of astonishing coastal beauty that alternates small coves and stretches of limestone rock, there is a long beach with an oceanic-tropical appearance. This is S'Arena Scoada, which extends from Punta S'Incodina, near the cliffs of Su Tingiosu, as far as Putzu Idu, from which it is separated by a small reef. 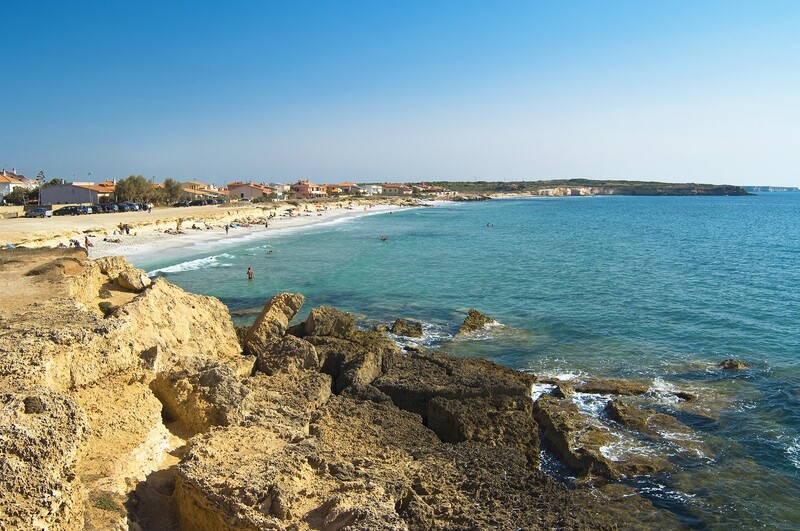 The beach is part of the San Vero Milis territory, less than twenty kilometres away (while Oristano is 25 kilometres away), and it was originally known as S’Aena Scoada, meaning the donkey without a tail. The name was later transformed into 'sand without a tail', a type of very fine, golden sand alternated with tiny fragments of multi-coloured quartz, stones and smooth rocks. One of its distinguishing features is the limestone rocks mixed with clay, used for sand-baths. The water is very clear and it is a green-blue colour, while the sandy seabed slopes gently. From here, you can admire landscapes that open up towards the island of Mal di Ventre. The sandy shore is very popular with kitesurfing and windsurfing enthusiasts and it has ample parking and a bar. Behind it, lies a small tourist centre, while to the north you can admire a fascinating arch dug out of the rock: S'Architteddu. 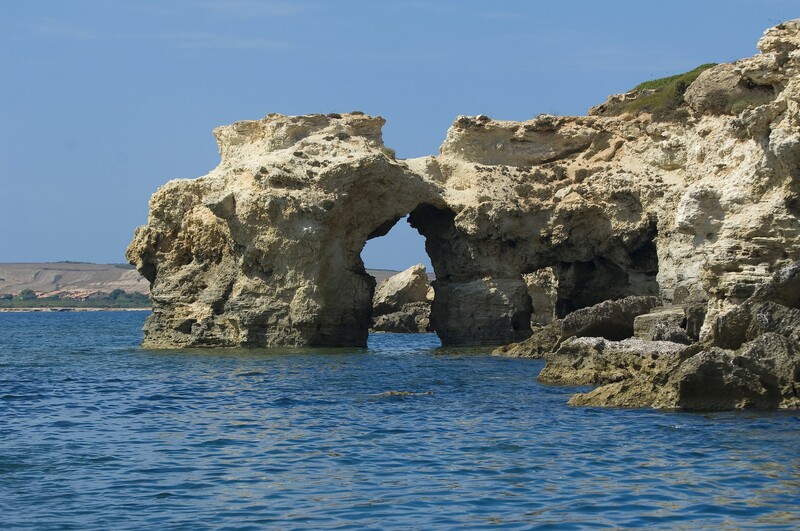 Further on, there is the beach of Putzu Idu and other gems including Capo Mannu, an immense promontory that is almost an island, given that it is connected to the mainland by strips of land and by the Salina Manna pond. In order of appearance, first of all you will encounter Mandriola, followed by the coves of Sa Figu and Dei Tedeschi, Sa Mesa Longa, Su Pallosu and, after going beyond the promontory, there is Sa Rocca Tunda and then the little coves of Scal'e Sali. To the south, on the border of Riola Sardo, the rocky coast rises with respect to the water's edge, almost announcing the impressive sight of the cliff of Su Tingiosu. Erosion of the limestone has led to the creation of enchanting little coves. Go along the Sp 7 towards Putzu Idu and then take the SP 66 for about ten kilometres. Before arriving at Putzu Idu, turn left and follow the signposts.